During the winter the flooded outer marshes of the Dutch rivers sometimes turn into huge sheets of ice, which really delights all the skaters, young and old alike. As the water slowly drains away during periods of thaw, slabs of ice remain hovering above the meadows. 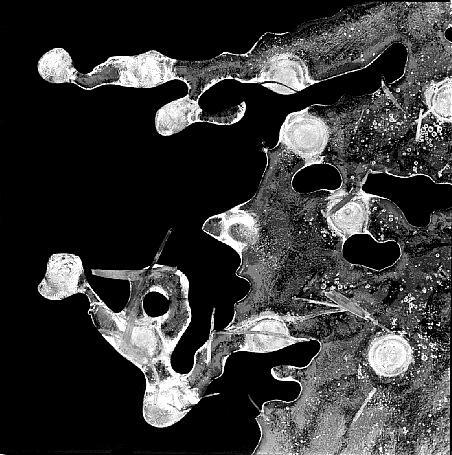 The photograph shows a rather small part of a rim of melting ice pictured from above. Icicles can be seen as bright circular forms.